Recreational diving is the main tourist activity in Moalboal, and is considered very good, even by Philippine standards. The reefs along the west coast of the Copton peninsula are home to a great variety of marine life. 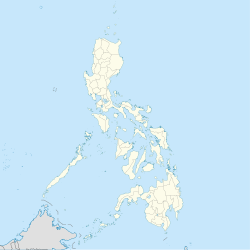 Pescador Island, about 3 kilometres (1.9 mi) off the coast, is the most popular dive spot with an underwater cave called the Cathedral. The structure of the reef that follows the entire coast line has made the place ideal for scuba-diving, snorkeling and freediving. Divers can enjoy easy access to the reef since the drop-off is shallow and close to shore but drops down to more than 40 metres (130 ft). Turtles are often seen very close to the shore line of Pescadores Seaview Suites. The area is known to be a sanctuary for sea turtles. Night diving is also one of the highlights and a must do while you are there. Creatures of the night comes out in abundance at the reefs of Basdiot.